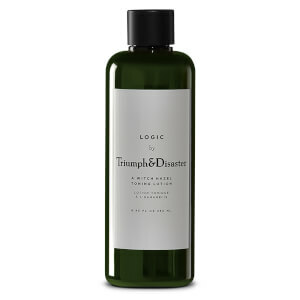 Achieve a clear, healthy-looking complexion with Triumph & Disaster Logic Toning Lotion; a natural, alcohol-free formula that works to smooth and refine. Powered by extracts of Witch Hazel, Alpine Willow Herb and Tasmanian Pepper Fruit, the lightweight formula sweeps effortlessly over the face to eliminate oily residue, whilst targeting visible pores and improving skin texture. 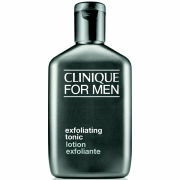 Leaves skin feeling clean and fresh, without stripping moisture. Aplicar con un disco de algodón después de limpiar y antes de hidratar el rostro. Evitar el contacto con los ojos. Aqua (Water), Hamamelis Virginiana (Witch Hazel) Extract, Lavandula Angustifolia (Lavender), Caprylyl/Capryl Glucoside, Gluconolactone, Sodium Benzoate, Cyathea Medullaris (Mamaku) Extract,Benzyl Alcohol, Salicylic Acid, Glycerine, Sorbic Acid, Cyathea Cumingii (Fern) Leaf Extract, Tasmannia Lanceolata Fruit Extract, Avena Sativa (Oat) Kernel Extract, Epilobium Fleischeri (Alpine Willowherb) Extract, Chamomilla Recutita (Chamomile) Extract.